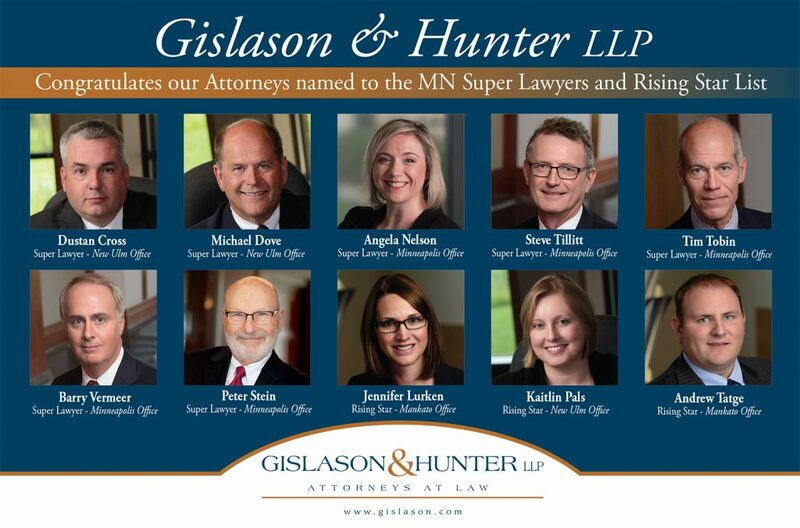 Mankato, MN (July 2, 2018) – Eight attorneys from Gislason & Hunter LLP have been selected to the 2018 Minnesota and Iowa Super Lawyers list. No more than five percent of the lawyers in each state are selected by Super Lawyers. 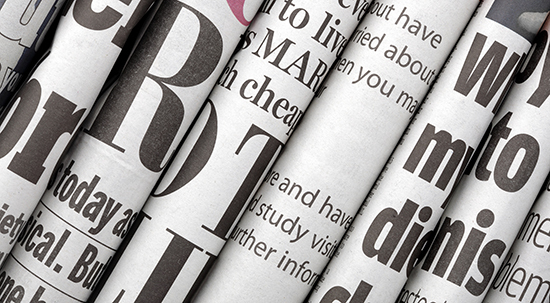 Minnesota attorneys named Super Lawyers include Dustan J. Cross, Michael S. Dove, Angela M. Nelson, Peter B. Stein, R. Stephen Tillitt, Timothy P. Tobin and Barry G. Vermeer. Iowa attorney, David W. Nelmark, was included on the Iowa list. In addition, three attorneys from Gislason & Hunter LLP have been selected to the 2018 Rising Star list. Attorneys include Jennifer G. Lurken, Kaitlin M. Pals and Andrew M. Tatge. Only five percent of the lawyers in the state were selected. Eligibility includes 40 years of age or younger or practicing for 10 years or less. Gislason & Hunter LLP has been providing vital expertise for more than 80 years to serve the Upper Midwest. With more than 40 accomplished attorneys and a large support staff, Gislason & Hunter LLP is a leader with industry-specific knowledge in a variety of practice areas. They have offices in New Ulm, Minneapolis, Mankato and Des Moines, Iowa. For more information, visit www.gislason.com.